Good Monday, all! We're starting this week with the first of the Mama Elephant February release highlights! You've seen them on the Mama Elephant blog, but this week, you get a chance to know them better:) I'm working with the set, Honey Bunny today! This card was so fun to make! The bunnies are stamps, highlighted with Copics, and fussy cut. I blended the clouds over the background and die cut the landscape with one of the Landscape Trio Dies. I made my little 3D swing with a bit of woodgrain card stock and twine hanging from a branch (really a tree trunk from Winter Wonderland). The backs of the bunnies are so cute.You fussy cut so well - I'd need a die. I just got my new Landscape Trio Dies. I like how you have used it on patterned paper. Adorable card, JJ. Oh my! 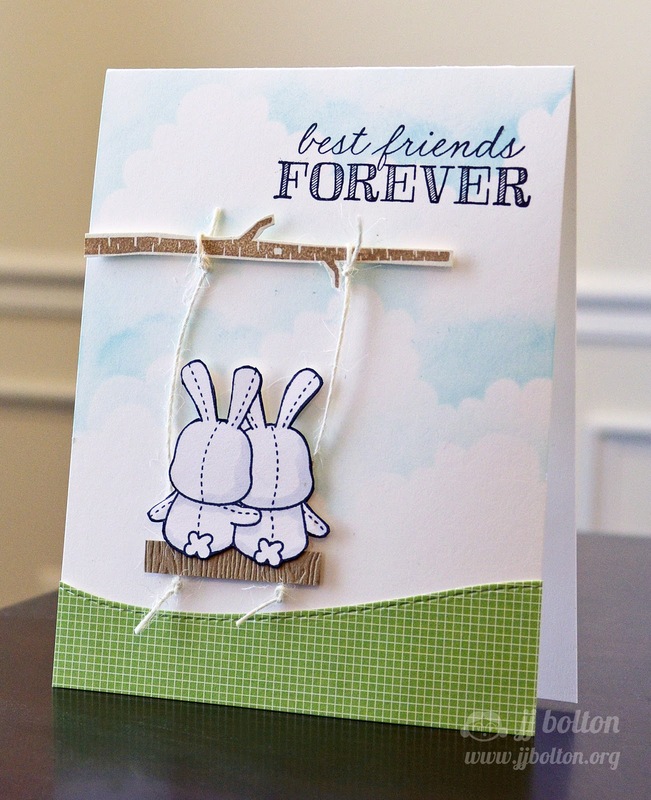 This card captures some of the simple pleasures in life: friendship, clouds, a tree swing. Another wonderful and thoughtful creation. Umm, I think this is just the best--so cute JJ! Aww this is adorable JJ! I love your soft clouded sky! so so so adorable!! i love this super sweet scene! the swing is just amazing!! and i love that you made the tree branch from the winter set! hello resourceful!! love it!! and your cloudy, blue sky is just beautiful!! LOVE this!! Your bunnies in a swing and just adorable! Love your wonderful sky background! This is just too cute and sweet! Absolutely love it. Absolutely adorable card, JJ! I love your innovative idea to use the tree trunk and your swing is so charming! Love your puffy clouds, too! So sweet! I love the little swing you created! Hope you got to sleep in this morning! 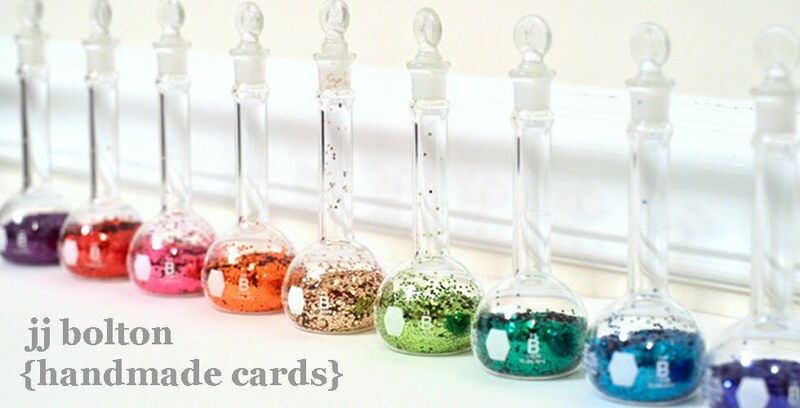 Do you know where I can buy this stamp set? The only place I've seen it is at SSS and they are sold out! Yikes.